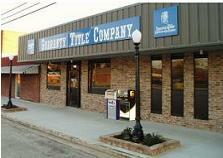 Guaranty Title Company has been dedicated to provide the best possible service to it customers for over 37 years. Guaranty Title Company continues to be the LARGEST TITLE COMPANY in Leon County, with more real estate closings annually than any other in the county. The company opened its doors in 1973 employing only two employees. Today it has risen to seven employees, each employee having been hand picked, with only the best being selected to represent the company. They are committed to meeting the real estate needs of the community, not only quickly but efficiently. The staff has 82 years of combined experience among them. Dedication to being the best has helped Guaranty Title Company develop a reputation for quality service among lenders, realtors, buyers and sellers.